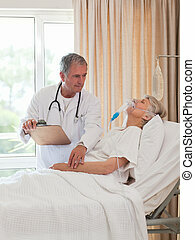 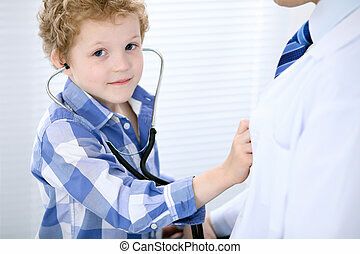 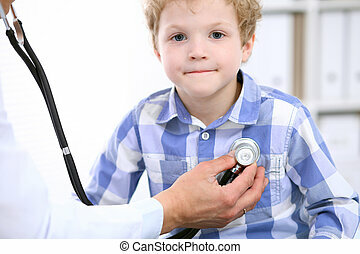 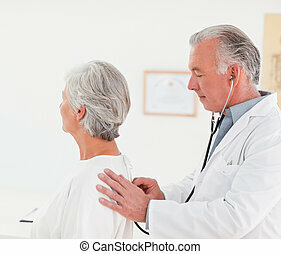 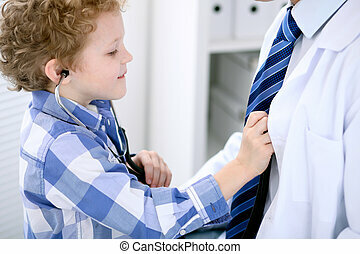 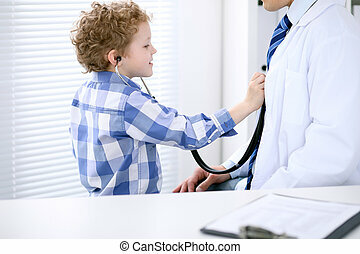 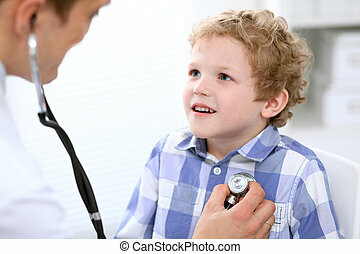 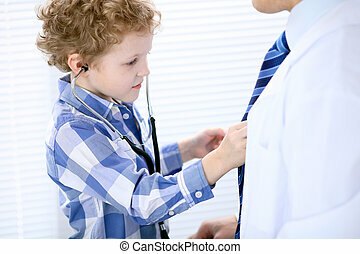 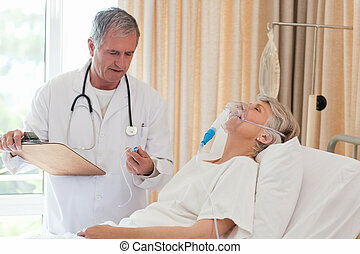 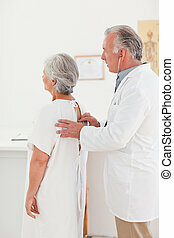 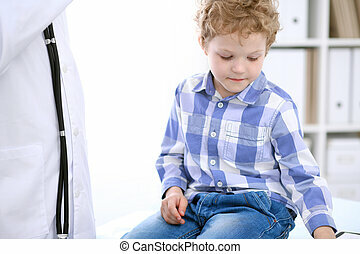 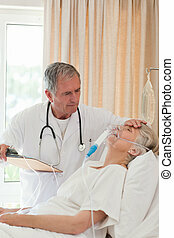 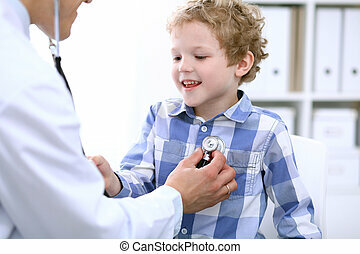 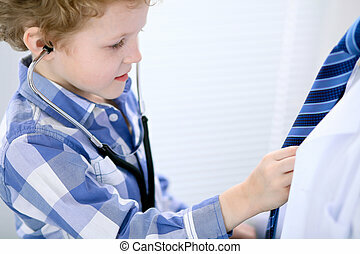 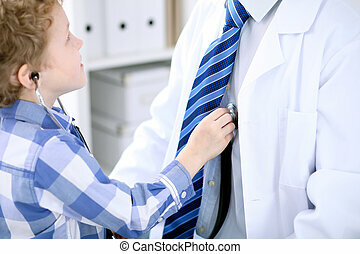 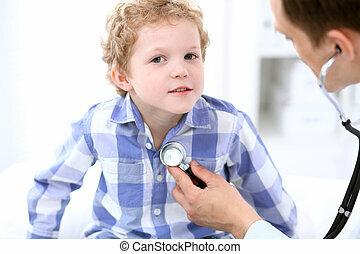 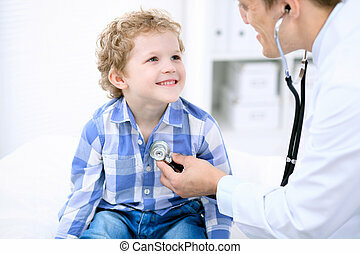 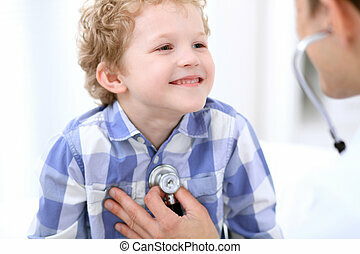 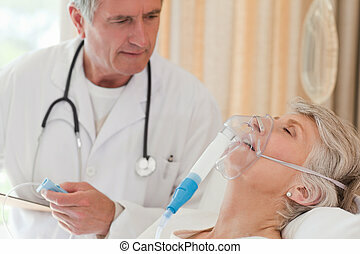 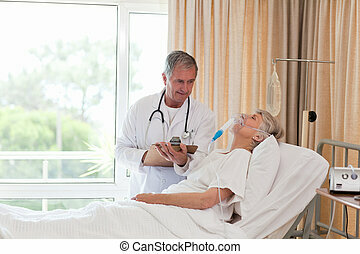 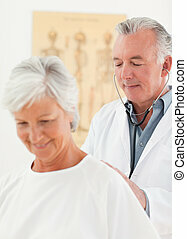 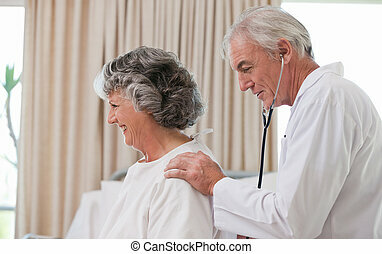 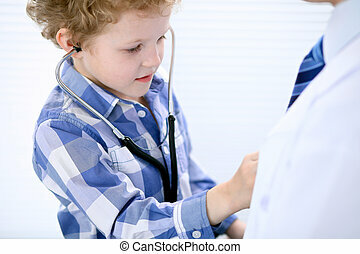 Doctor examining his patient by stethoscope. 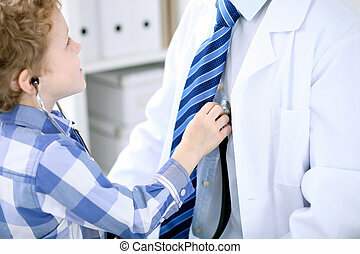 health care and medicine concept. 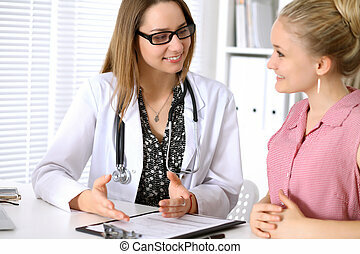 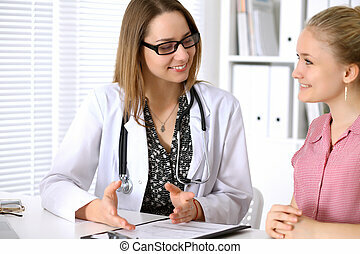 Doctor sitting near his patient and discussing confidental medical history. 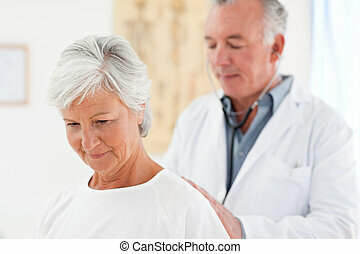 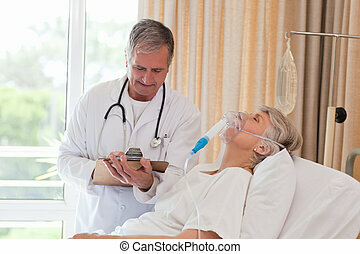 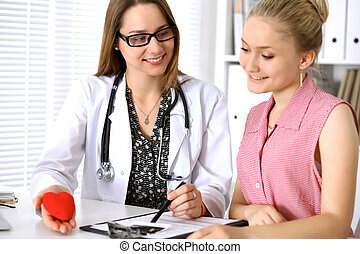 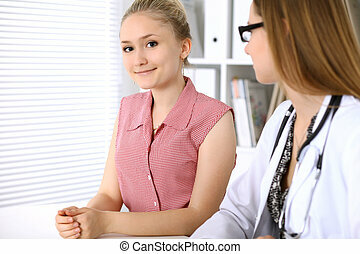 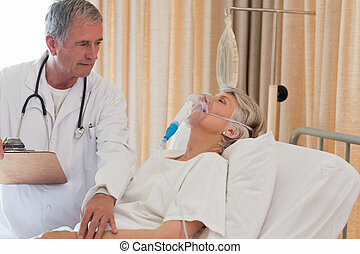 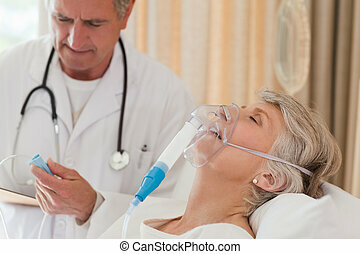 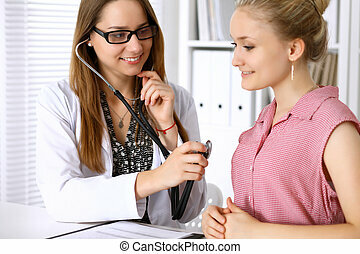 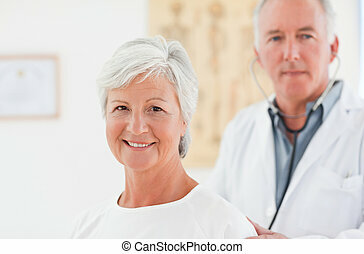 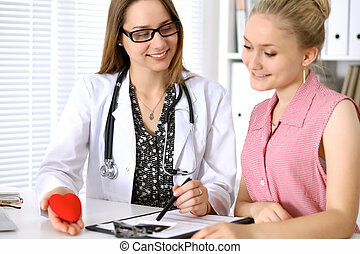 Happy smiling female patient near her doctor after health examining. 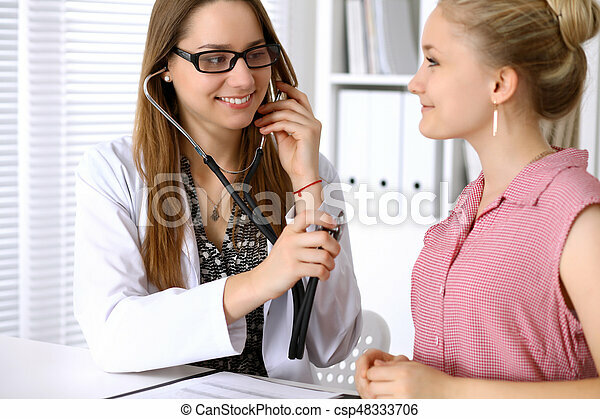 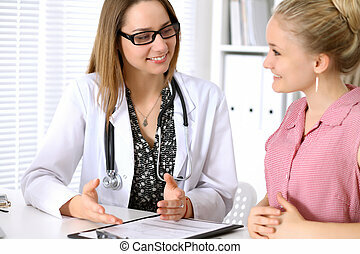 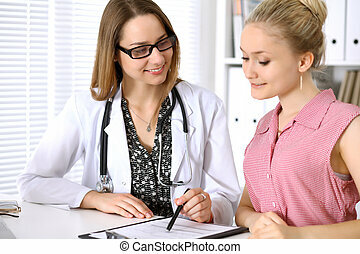 Doctor sitting near his patient and pointing into confidental medical history. 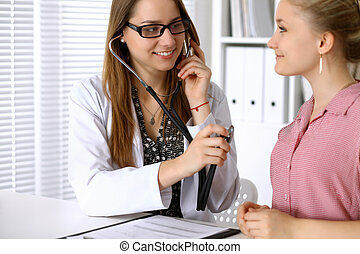 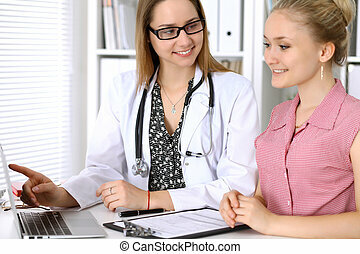 Doctor discussing confidental medical history with his patient and pointing at monitor computer.